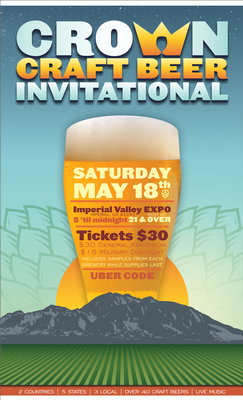 Come and enjoy our Beer Tasting Event "CROWN Craft Beer Invitational"
Tickets are available at the Imperial Valley Expo. MUST BE 21 OR OVER!! BEER, FOOD VENDORS, LIVE MUSIC AND MUCH MORE!